It’s 9:30 AM Central time and we just crossed into Mississippi. After a night at Andrew’s grandmother’s, we awoke to the last home-cooked meal we’ll see for almost a month. I’ve always heard about southern hospitality, but never really realized what it meant until now. An amazing woman who not only made us feel completely at home, but entertained us with some of the best stories I’ve heard for a long while; I can assure you she will be missed from the confines of our budget hotel in Baton Rouge. Even though it’s early in the morning the heat is already in the high 80’s, and the humidity isn’t far behind. Our journey this morning will take us through the Bayou Sauvage national wildlife refuge, per recommendation we’re diverting from I-10 onto 90 to take the scenic route through the swamps. More updates to come. 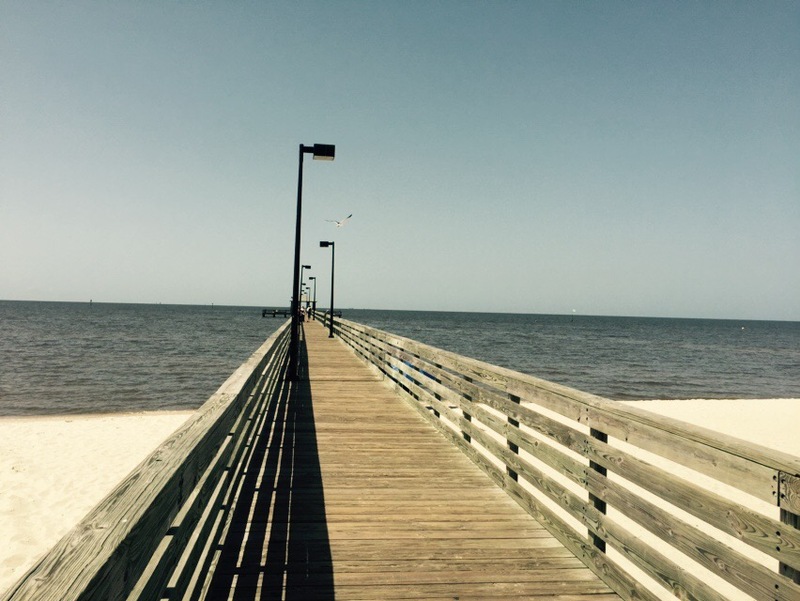 The time is 11AM Central, and we’ve stumbled across something completely unexpected: the Mississippi coast. On a whim we decided to turn onto highway 90 a little early, and it paid off big. After almost giving up on it after a tedious stop and go drive through a few small towns, we crossed a spectacular bridge into Biloxi, a city neither of us even knew existed. Casinos, gorgeous white sandy beaches, and all the sun you could ever want, it’s quite a far cry from the image we had in our heads of the swampy southern bayou. If you were simply dropped onto these beaches, you’d swear you were in Miami. We stopped on a pier to get some photos, and after finding a giant shark head for some quick selfies, we even got a fly-by from a USAF AC130.